It's where the discerning lens of the world’s preeminent technology university meets Silicon Valley. Our program is carefully curated to review the state of artificial intelligence technologies. We'll examine the capabilities and commercial applications of these technologies and provide a deeper understanding of the growing economic impact that the field is having on organizations and industries around the world. As interest in AI continues to rise, so do the expectations. We’ll examine some of the most promising research of the year, as well as the very real limitations of these technologies. Gain insights into groundbreaking AI advancements from experts working to develop more useful and intuitive tools. Hear examples of how they’re addressing rising security and privacy concerns, transparency and accountability, and more. Advancements in AI technologies have inspired new applications in a broad array of industries. Hear from the experts on how AI is improving their processes, from historically time-consuming and costly challenges, such as drug discovery, to more intelligent approaches to healthcare, transportation, public safety, and urban design. In furthering the development of AI, its creators are often faced with questions that fall outside of their technical area of expertise. An inclusive approach is essential to ensure more broadly beneficial artificial intelligence. Speakers will address the pressing need to better define fairness, combat bias, and create ethical AI. » Gain a working understanding of complex tech that’s driving business innovation. » Learn to harness these technologies to build a competitive business advantage: increase revenue, ensure security, and make smart hires in a changing workforce. » Get clear insights that help you cut through the noise around AI and chart your strategy. » Meet the sharpest minds in the technology, management, startup, engineering, and academic communities–the people leading the next wave of intelligent technologies. Andrew Anagnost’s career spans more than 25 years of product, business, and marketing experience focused on driving strategy, transformation, and product development. Anagnost began his career at Autodesk in 1997 and has held a wide range of roles in the areas of marketing, new business development, product management, and product development. Prior to becoming president and CEO in June 2017, he served as chief marketing officer and SVP of the business strategy and marketing organization. In this role, he served as architect and leader of Autodesk’s transition to a software-as-a-service (SaaS) solutions provider. Previously, Anagnost held various executive positions across Autodesk. Early in his Autodesk career, he led the development of the company’s manufacturing products and grew the revenue of Autodesk Inventor to over $500 million. He has also worked at Lockheed Aeronautical Systems Company and EXA. Anagnost is a member of the Autodesk board of directors. He holds a bachelor of science degree in mechanical engineering from California State University, Northridge, and holds both an MS in engineering science and a PhD in aeronautical engineering and computer science from Stanford University. He worked at NASA Ames Research Center as an NRC postdoctoral fellow. Alán Aspuru-Guzik is professor of chemistry and computer science at the University of Toronto and cofounder of the startups Kebotix and Zapata Computing. He is also on the faculty of the Vector Institute for Artificial Intelligence, an independent, not-for-profit corporation dedicated to research in the field of AI. Before joining the University of Toronto, Alán was a professor at Harvard University. Alán’s research lies at the interface of computer science, chemistry, and physics. He works in the integration of robotics, machine learning, and high-throughput quantum chemistry to develop materials acceleration platforms. Alán also develops algorithms for quantum machine learning and has pioneered quantum algorithms for the simulation of matter. He holds a bachelor’s degree in chemistry from the National Autonomous University of Mexico and a PhD in physical chemistry from UC Berkeley. Dr. Solomon Assefa is responsible for developing strategy for innovative and scalable industry research solutions for emerging markets in sectors such as financial services, health care, and the public sector. Furthermore, he is responsible for IBM’s research labs in Kenya and South Africa, and heads IBM’s research strategy and partnership across the region. IBM Research is pioneering disruptive technologies that will transform industries and society, including the future of AI, blockchain, and quantum computing. Specifically, it is developing technologies that address Africa’s grand challenges; promote Africa’s leadership in science and technology; and foster local innovation ecosystems. Solomon is a recipient of several awards, including the Technical Accomplishment Award, Corporate Recognition Award, and Invention Achievement Awards from IBM. He is a frequent speaker at business events, international conferences, universities, and research institutions. He was named one of MIT Technology Review’s Innovators Under 35 in 2011. Solomon was honored by the World Economic Forum as a Young Global Leader in 2013. He received a BS in physics (2001), a BS in EECS (2001), an MS in EECS (2001), and a PhD (2004), all from the Massachusetts Institute of Technology. Bill Dally is an award-winning computer scientist who works with leading scientists and researchers around the globe to develop new and innovative computing architectures. He joined Nvidia in 2009 after spending 12 years at Stanford University, where he was chairman of the computer science department and the Willard R. and Inez Kerr Bell Professor of Engineering. Dally and his Stanford team developed the system and network architecture found in most large parallel computers today. He is a member of the National Academy of Engineering, a fellow of the American Academy of Arts & Sciences, and a fellow of the IEEE and the ACM. He received the 2010 Eckert-Mauchly Award, considered the highest prize in computer architecture, as well as the 2004 IEEE Computer Society Seymour Cray Computer Engineering Award and the 2000 ACM Maurice Wilkes Award. Dally has published more than 200 papers, holds more than 100 patents, and is the author of three textbooks: Digital Systems Engineering, Principles and Practices of Interconnection Networks, and Digital Design: A Systems Approach. He received a bachelor of science degree in electrical engineering from Virginia Tech, a master of science degree in electrical engineering from Stanford University, and a PhD in computer science from the California Institute of Technology. Daphne Koller brings to Insitro her many years of experience in machine learning, statistical modeling, computational biology, and computational medicine. She was the Rajeev Motwani Professor of Computer Science at Stanford University, where she served on the faculty for 18 years, and she was one of the pioneers in applying machine learning to biomedical data sets. She is the author of over 200 refereed publications and the leading textbook on probabilistic graphical models. Daphne cofounded Coursera in 2012; she served as the company’s co-CEO until 2014 and then as president until 2016. Coursera is the world’s largest online education platform, with over 30 million learners worldwide and over 150 university partners in six continents. She is currently the cochair of the Coursera board. Most recently, Daphne served as the chief computing officer at Calico Labs, an Alphabet (Google) company that is using advanced technology to understand aging and design interventions that help people lead longer, healthier lives. Daphne was recognized as one of Time magazine’s 100 most influential people in 2012 and Newsweek’s 10 most important people in 2010. She has been honored with multiple awards and fellowships, including the Presidential Early Career Award for Scientists and Engineers in 1999, the MacArthur Foundation Fellowship in 2004, and the ACM Prize in Computing in 2008. Daphne was inducted into the National Academy of Engineering in 2011 and elected a fellow of the American Academy of Arts and Sciences in 2014 and of the International Society of Computational Biology in 2017. Sergey Levine received a BS and MS in computer science from Stanford University in 2009 and a PhD in computer science from Stanford in 2014. He joined the faculty of the Department of Electrical Engineering and Computer Sciences at UC Berkeley in fall 2016. His work focuses on machine learning for decision making and control, with an emphasis on deep learning and reinforcement learning. Applications of his work include autonomous robots and vehicles, as well as computer vision and graphics. His research includes developing algorithms for end-to-end training of deep neural networks, scalable algorithms for inverse-reinforcement learning, deep reinforcement-learning algorithms, and more. His work has been featured in many popular press outlets, including the New York Times, the BBC, MIT Technology Review, and Bloomberg. Antoinette Matthews is responsible for building and expanding MIT Technology Review’s global footprint through long-term strategic partnerships that help bring its journalism to audiences all across the world, in different languages, and on different platforms. As the head of licensing and communities, Antoinette acts as ambassador for MIT and MIT Technology Review’s thought leadership, championing initiatives that further grow Technology Review's Innovators Under 35 community. Ms. Matthews has a Bachelor's degree in Marketing and Financial Management from the University of Pretoria. She is a current Executive MBA student at the MIT Sloan School of Management. Taniya Mishra leads Affectiva’s research team in exploring innovative machine-learning approaches to accelerate their multi-modal emotion sensing roadmap. She also built Affectiva’s speech product from the ground up. She has a PhD in computer science and speech processing from the OGI School of Science and Engineering at Oregon Health and Science University Hospital. Lama Nachman is an Intel Fellow and the director of the Anticipatory Computing Lab in the Intel Labs organization at Intel Corporation. Her research is focused on context-aware and proactive computing. Nachman is creating technologies that can gain a deep understanding of people through sensing and sense-making, then act on that context to help them in many aspects of their lives. She leads a team of researchers developing sensing systems, algorithms, and applications to enable these compelling experiences and transfers those technologies to various Intel business units, where they can have a positive impact on future Intel products. Dr. Andrew Ng is the founder and CEO of Landing AI and deeplearning.ai and a general partner at AI Fund. As the former chief scientist at Baidu and the founding lead of Google Brain, he led the AI transformation of two of the world’s leading technology companies. A longtime advocate of accessible education, Dr. Ng is the cofounder of Coursera and founder of deeplearning.ai, an AI education platform. He is also an adjunct professor in Stanford University’s computer science department. Naveen G. Rao’s team at Intel focuses on deep learning, a subset of machine learning and artificial intelligence, and works to develop the hardware and software ingredients needed to enable its scalable deployment. Trained as both a computer architect and a neuroscientist, Rao joined Intel in 2016 with the acquisition of Nervana Systems, a recognized leader in deep learning, where he was chief executive officer. Before cofounding Nervana in 2014, Rao was a neuromorphic machines researcher at Qualcomm, where he focused on neural computation and learning in artificial systems. Rao’s earlier career included engineering roles at Kealia, CALY Networks, and Sun Microsystems. He earned a bachelor’s degree in electrical engineering and computer science from Duke University and spent a decade as a computer architect before going on to earn a PhD in computational neuroscience from Brown University. He has published multiple papers in the area of neural computation in biological systems. Rao has also been granted patents in video compression techniques, with additional patents pending in deep-learning hardware and low-precision techniques and in neuromorphic computation. Rashida Richardson designs, implements, and coordinates AI Now’s research strategy and initiatives on the topics of law, policy, and civil rights. Rashida joined AI Now after working as legislative counsel at the New York Civil Liberties Union (NYCLU), the New York state affiliate of the American Civil Liberties Union, where she led the organization’s work on privacy, technology, surveillance, and education issues. Previously, she was a staff attorney at the Center for HIV Law and Policy, where she worked on a wide range of HIV-related legal and policy issues nationally, and she also worked at Facebook and HIP Investor in San Francisco. Rashida currently serves on the advisory board of the Civil Rights and Restorative Justice Project and the board of directors of the College & Community Fellowship. She received her BA with honors in the College of Social Studies at Wesleyan University and her JD from Northeastern University School of Law. Dawn Song is a professor of computer science at UC Berkeley, where she earned her PhD. Her research interests lie in deep learning, security, and blockchain. 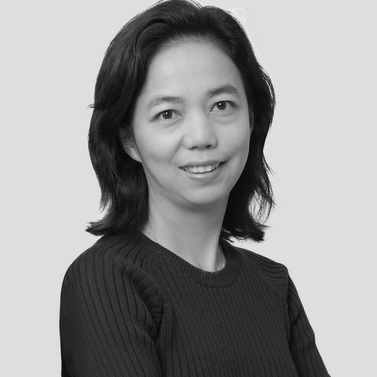 She is the recipient of various awards including the MacArthur Fellowship, the Guggenheim Fellowship, the NSF CAREER Award, the Alfred P. Sloan Research Fellowship, the MIT Technology Review TR35 award, and Best Paper awards from top conferences in computer security and deep learning. She is ranked as the most cited scholar in computer security and is currently the founder and CEO of Oasis Labs, creating privacy-first cloud computing on blockchain. EmTech Digital is for senior executives responsible for information, technology, security, strategy, and marketing–those charged with driving innovation and product development across industries and sectors within their business. A welcome from MIT Technology Review’s editor in chief and our EmTech Digital emcee. Examining the most significant developments in AI research today, poised to define the next wave of capabilities. Leaders in the field are looking beyond cutting-edge research to examine the impact that AI technologies are having in the world. Putting humans at the center of the discussion is critical to ensure that society will benefit from fair, unbiased tools. Ensuring that the era of AI benefits society at large will require developing new ethical principles for the field, and rethinking how we engage with these systems and each other. Beyond its ability to revolutionize business and industry, AI is augmenting our intelligence. From context-aware intelligence to help people with disabilities to enabling healthcare clinicians, researchers, and academics achieve scientific advances, artificial intelligence is helping unlock deeper levels of knowledge and insight never before possible. This session will explore how the adoption of AI will improve the human experience. It has been quite a year on the road to autonomous vehicles. We’ll examine lessons learned as autonomous cars cruise the streets in major American cities and AI solutions take on complex logistics routes. AI solutions are being adopted in every industry, sometimes in unexpected ways. How might new approaches enable faster time to market for new drugs, or the development of new materials? Day Two opens with a preview of the day from MIT Technology Review’s editor in chief, our EmTech Digital emcee. Expectations are rising as powerful new AI chips are developed to improve the speed and efficiency of today’s systems. The field of AI is at a critical juncture. How can technologists, business leaders, educators, and regulators act now to promote responsible use of intelligent systems? Today, breakthroughs in deep learning are inspiring the evolution of AI. But will this “deep learning + X” model drive AI to its fullest potential? While problem solving with more data and deeper models has a place in AI’s evolution, not every problem can be solved by this model. That’s why Samsung NEXT not only enables "deep learning +X” by creating tools for AI developers, but also invests in long-term breakthroughs via a strategic AI fund. In this session, learn more about how subtle shifts in the way we approach and think about AI today will have profound impact on the developments of tomorrow. Engaging with intelligent assistants has become routine in many of our lives, both at home and on the road. What can we learn from the technologists behind Amazon’s Alexa on where the field is headed next? How might AI support global initiatives and expand economic opportunities around the world? A limited number of discounted hotel rooms have been made available. Make your reservation early, as rooms will likely sell out. The 5-star St. Regis San Francisco hotel embodies extraordinary hospitality with modern-day sophistication. This luxury hotel features 306 guest rooms and suites, all equipped with rainforest showers, minibars, and several flat-screen TVs (including one in the bathroom). You’ll find yourself in the heart of one of the city's most vibrant neighborhoods with the most exciting galleries, San Francisco attractions, events, restaurants, and shopping. The San Francisco Museum of Modern Art, the new Jewish Contemporary Museum, the financial district, and Union Square's select stores are all minutes away. A brief stroll takes you to the hill-climbing delights of the city's legendary cable cars, and the Golden Gate Bridge leads you to the bucolic charms of wine country. You may also reserve a room by calling St. Regis Central Reservations at 1-877-787-3447. Be sure to mention EmTech Digital 2019 to receive the discounted rate. The group rate is available until March 1, 2019. The St. Regis San Francisco enjoys an artful address, just steps from the top things to do in San Francisco. The Museum of the African Diaspora, featuring the rich history of African art and culture, is conveniently located within the hotel. In addition, the renowned San Francisco Museum of Modern Art showcases noteworthy talent directly next door, and the vibrant new Jewish Contemporary Museum stands less than one block from the hotel. The financial district and Union Square's select stores are minutes away, offering a plethora of things to do in San Francisco. A brief stroll takes you to the hill-climbing delights of the city's legendary cable cars, and the Golden Gate Bridge leads you to the bucolic charms of wine country. •	Take Highway 101 South over the Golden Gate Bridge. •	Follow signs towards Downtown San Francisco/Lombard Street. •	Continue on Lombard Street approximately 1.5 miles. •	Turn right onto Van Ness Avenue. •	Continue on Van Ness Avenue for 14 blocks, then turn left onto Bush Street. •	Continue on Bush Street for 12 blocks. •	Then turn right onto Montgomery Street. •	Continue on Montgomery Street and cross Market Street. •	Continue 2 more blocks to Howard Street. Turn right onto Howard Street. •	Proceed 1 block to Third Street and turn right. •	The St. Regis Hotel is located on the right side, 0.5 blocks after Howard Street. Immediately after the Museum of Modern Art, turn right onto Minna Street. •	Take Highway 101 North into San Francisco. •	Follow signs towards Bay Bridge onto Interstate 80 East. •	Take the last San Francisco Exit, which is Fourth Street. •	Continue through the light and turn left onto Third Street. •	Proceed along Third Street and continue for 3.5 blocks. •	Take Interstate 280 North into San Francisco. •	Stay on the freeway until it ends onto King Street. •	Proceed several blocks to Third Street. •	Continue along Third Street for 6.5 blocks. •	Take Interstate 80 West over the Bay Bridge into San Francisco. •	Take the first right exit, which is Fremont Street. •	Turn left onto Fremont Street. Proceed 0.5 blocks to Howard Street and turn left. •	Continue on Howard Street for 4 long blocks, and turn right onto Third Street. •	Follow the signs for Interstate 880 North, towards downtown Oakland. •	Follow the signs towards San Francisco, Interstate 80 West. •	Proceed on I-80 West over the Bay Bridge, and follow the "Driving from East Bay" directions. Chatbase is a cloud service for building, analyzing, and optimizing AI-powered customer service virtual agents more easily. Powered by Google's machine learning and search capabilities, the Chatbase approach is faster, more accurate, and more comprehensive than manual methods, helping contact centers deploy a virtual agent that improves customer satisfaction in a fraction of the time. Chatbase is brought to you by Area 120, an incubator operated by Google. Learn more at chatbase.com. MIT Professional Education provides a gateway to MIT expertise and knowledge for science and engineering professionals around the world. Through MIT Professional Education programs taught by renowned faculty from across the Institute, technical professionals have the opportunity to gain crucial and timely knowledge in specialized fields, to advance their careers, boost their organization’s performance, and help make a difference in the world. Visit professional.mit.edu for more information. Artrendex is a New York-based startup, founded in 2016. Artrendex builds innovative artificial intelligence technology for the art market and creative users. The key feature of our innovations is the ability to quantify aesthetic concepts that for long-time were believed to be subjective. Artrendex has been collaborating with a variety of cultural institutions in building innovative solutions using AI. Learn more here.